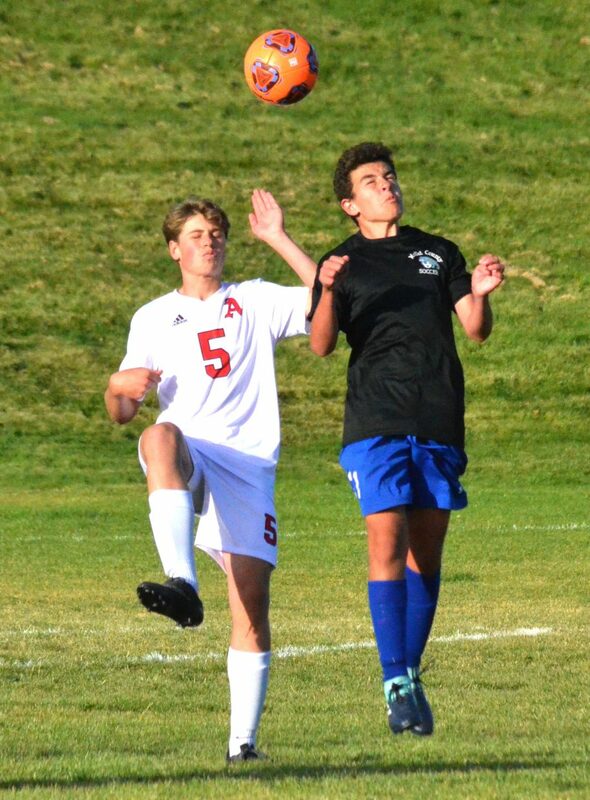 Moffat County High School's Vlajko Pavlovic and Aspen's Kai Driscoll duel for the ball in front of the Skier goal. 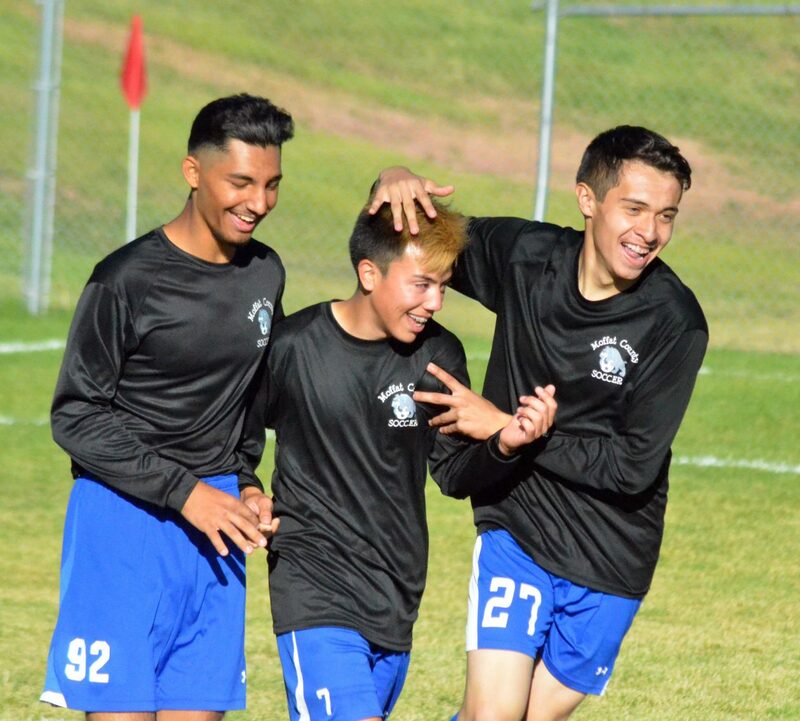 From left, Moffat County High School's Vlajko Pavlovic, Josh Pando and Hector Luna Meza celebrate Pando's goal against Aspen. Moffat County High School's Angel Bueno heads the ball in the right direction deep in Aspen territory. 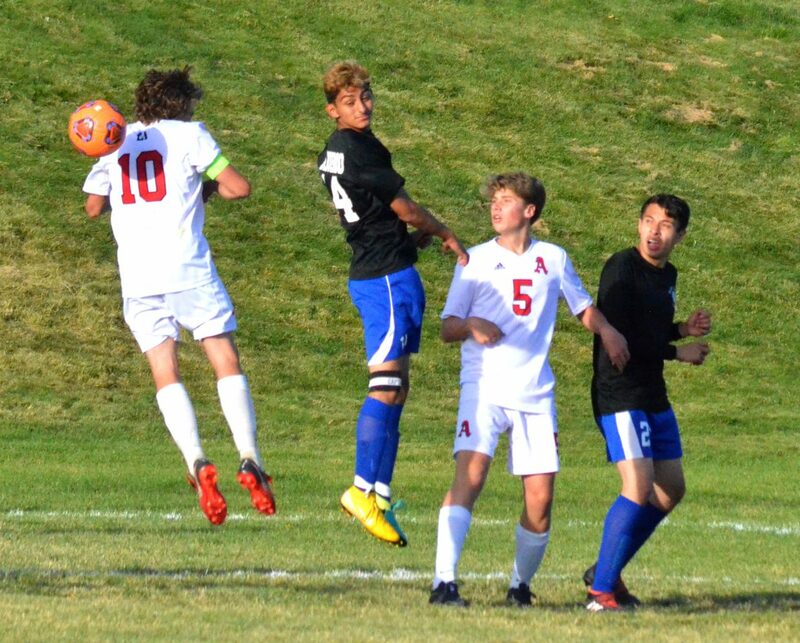 Moffat County High School's Guillermo Estecha braces for a header. Moffat County High School goalie Sabastian Hershiser grabs a shot on the fly. Moffat County High School's Axeel Mendoza is joined by Cristiann Reyes following MCHS's Tuesday soccer game. Reyes accepted an invitation to the Homecoming dance from Mendoza at halftime. 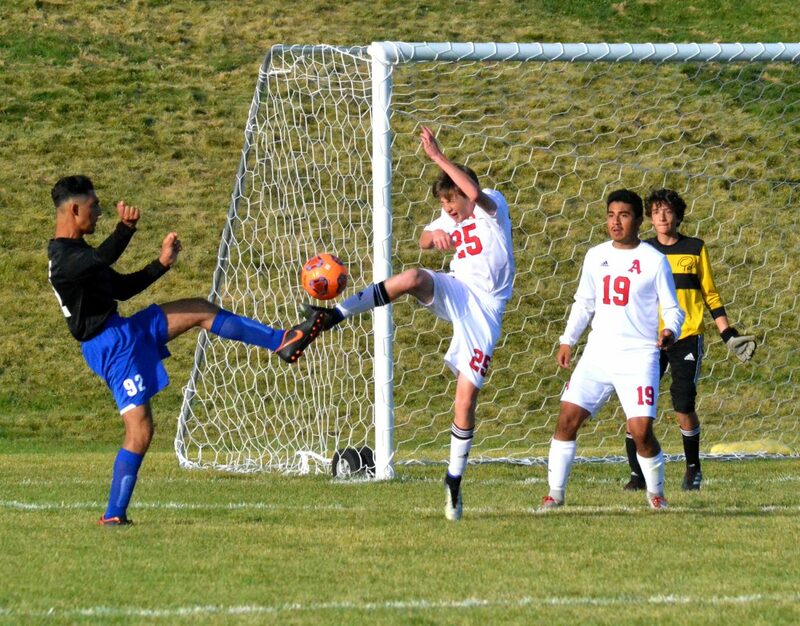 Moffat County High School's Erik Payan gets creative with a behind-the-back pass to get the ball away from Aspen. At halftime of Bulldog soccer’s latest game, Moffat County High School senior Axeel Mendoza was of two minds. On one hand, he was concentrating on evening up the 1-0 lead Aspen had at that point, but he was also thinking about another pressing matter. 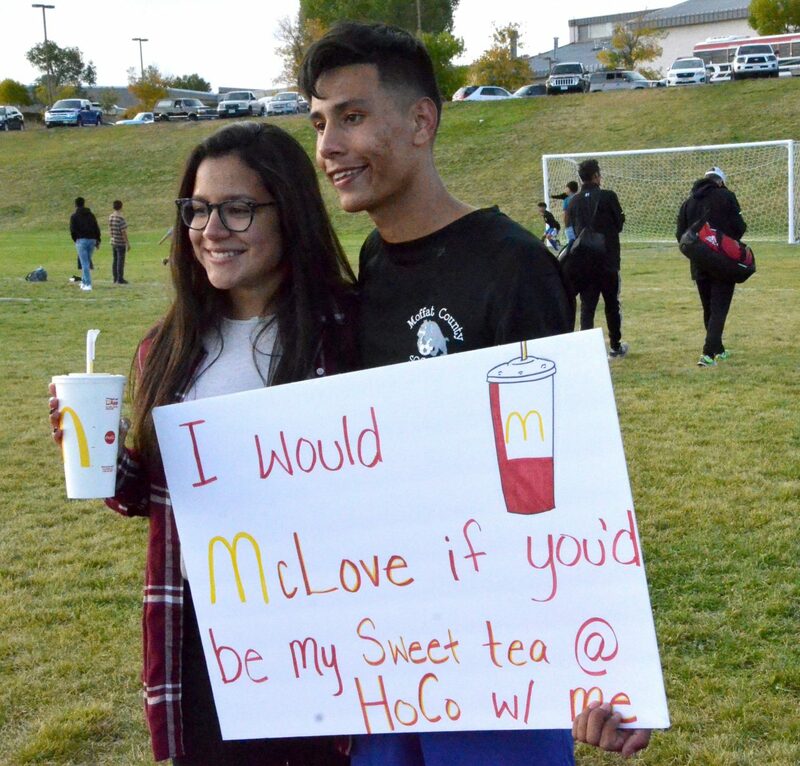 Before the action started up again, he hustled to the sidelines, sign in hand to secure a date with Cristiann Reyes for Saturday’s Homecoming dance. She happily accepted, which kicked off Moffat County’s best 10 minutes of the day, though the energy wouldn’t quite last as long as it needed. 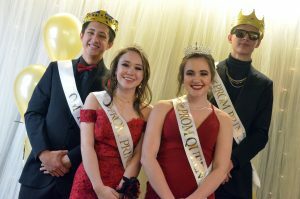 MCHS fell 6-2 against the Skiers Tuesday in the Dogs’ Homecoming game, a match that fell in line with many of their games as the numbers overwhelmed them before the end of the afternoon. A strong first half filled Moffat County players with confidence, behind by only one goal and ready to make up the difference. Aspen’s Henry Morrison got on a breakaway to score another one for the Skiers less than three minutes into the half, but Vlajko Pavlovic got the Bulldogs on the board less than 40 seconds later by storming the Aspen goal. Pavlovic was in position again moments later, but the tying goal went to Josh Pando, who put it in the box from only a few feet out to get the Bulldog bench excited. 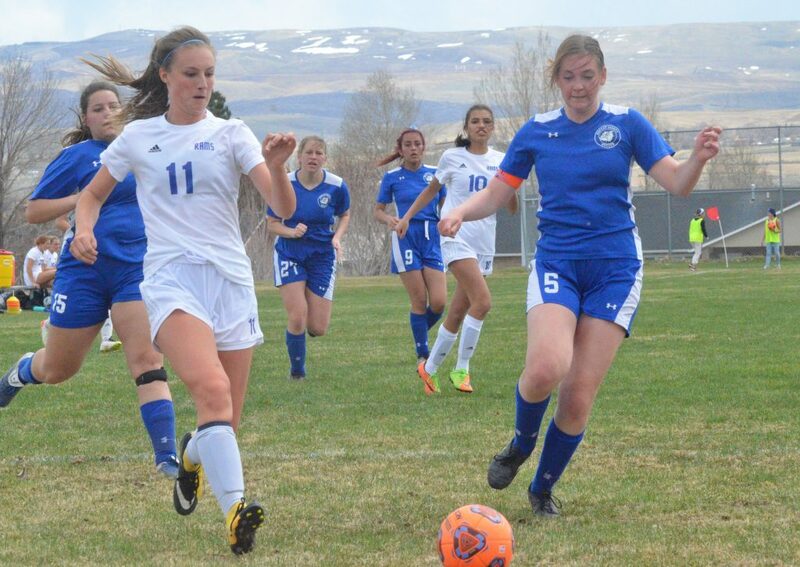 However, the Skiers kept it in Moffat County territory for a long stretch, as their forwards and midfielders kept pushing their way into the MoCo defense, able to score four more times with the Bulldogs slowing down. 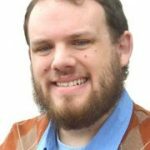 “Once again, it came down to our conditioning,” Pando said. Coach Nathalie Boelen credited it to having only 14 of the 21 players on the roster available to suit up for the day. Pedro Romero had to stay benched for the Aspen game following the Bulldogs’ Saturday event in Parachute. 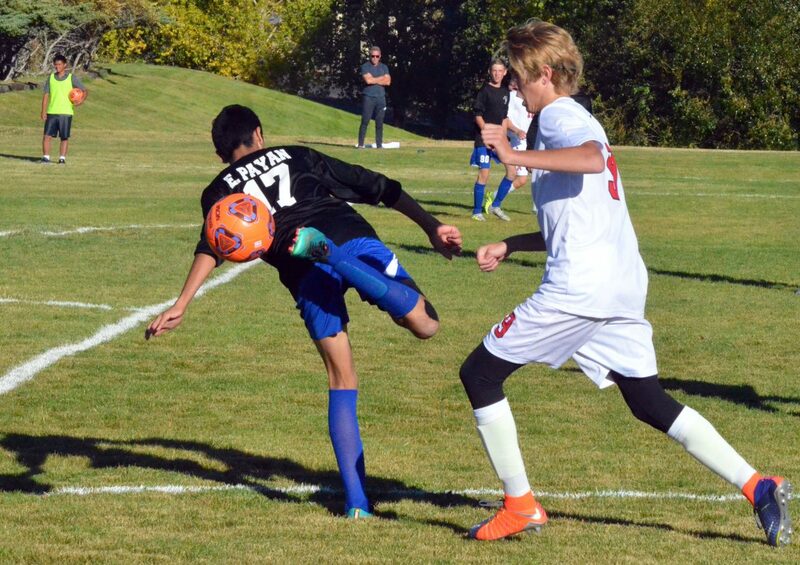 The game against the Grand Valley Cardinals was a physical one, and an inadvertent outburst led to Romero getting a red card penalty. 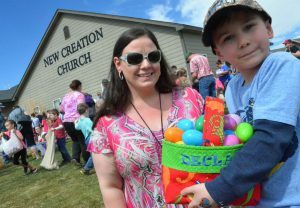 “By the third time they went for my ankle, I was already getting bruised,” he said. The Grand Valley game finished 6-3 for the Cards. 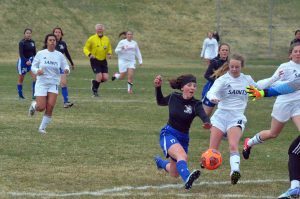 Still, Boelen said the second half was an example of fortitude as the Moffat County crew refused to quit despite trailing 3-0 as Pavlovic put in two goals and Pando one. 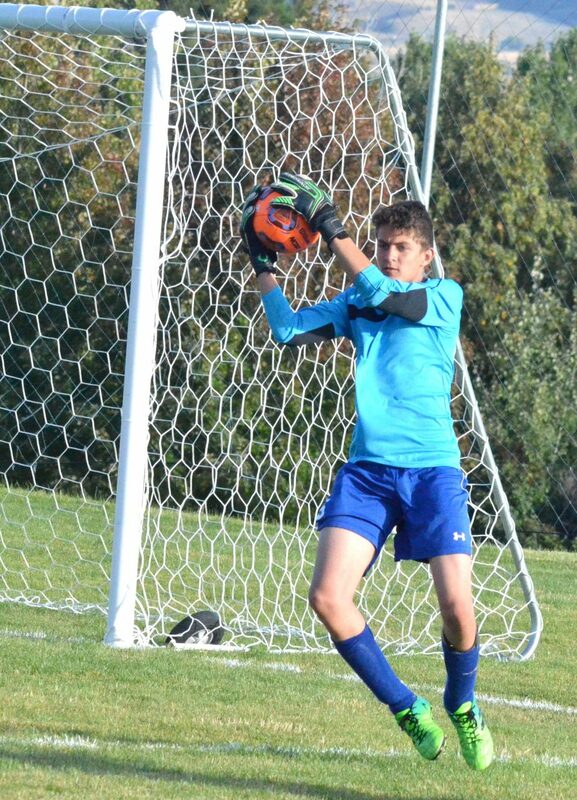 MCHS boys had 19 shots against Grand Valley, with 15 saves in goal against the Cardinals. Against the Skiers, they brought their shot total up to 24, while keeper Sabastian Hershiser had 19 touches. The Aspen game was the first of the season for Mendoza — aka “Sonic,” the moniker on his personalized jersey, which the Dogs wore for their Homecoming event — who was recently cleared academically to get back on the field. While Moffat County players have a rest for the remainder of Homecoming week, they’ll have their work cut out for them in the coming week, traveling to Basalt Oct. 2, hosting Delta Oct. 4 and on the road again Oct. 6 at Carbondale’s Colorado Rocky Mountain School. 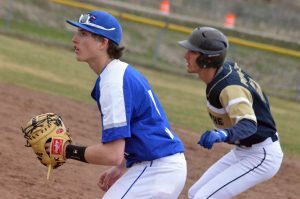 Now 0-7, the Dogs are in the hunt for their first win with only 3A Western Slope League teams on their radar for the rest of the season.